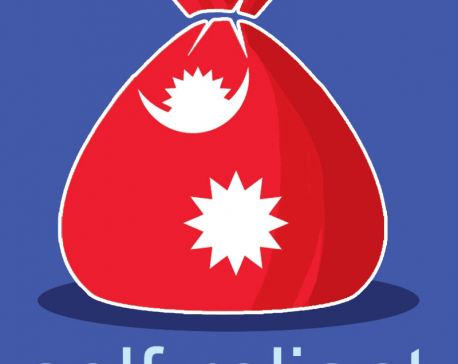 KATHMANDU, Mar 1: Import of cement has been on a decreasing trend, at a time when talks about the country becoming self-reliant on cement are going on. Cement imports decreased by about 24 percent in the first half of the current fiscal year. According to the records kept by Trade and Export Promotion Centre (TEPC), cement worth Rs 412 million was imported in the first half of the current Fiscal Year 2017/18. The same record showed that the import was 24 percent lower as compared to the corresponding period of last fiscal year. Cement worth Rs 510 million was imported in the country in the first six months of the last fiscal year. The country needs to be self-reliant also on the raw material used in making cement-clinker in order to be fully self-reliant on cement. But clinker import has been increasing each year. Cement worth Rs two billion was imported in the Fiscal Year 2015/16. 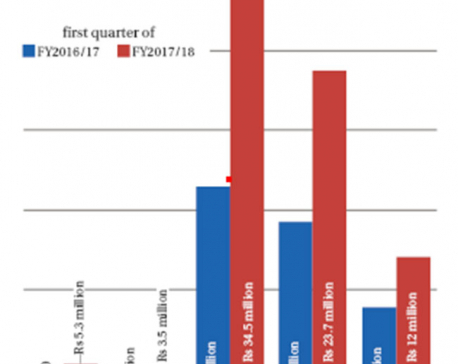 Likewise, cement worth Rs 2.11 billion was imported in the previous Fiscal Year 2014/15, according to the data kept by TEPC. The cement import in FY2014/15 was a billion rupees lower than the import in the previous fiscal year. Cement worth Rs 3.18 billion was imported in FY2013/14. On the other hand, records show that the import of clinker has stood high. Clinker worth Rs 10.63 billion was imported in the country in the first half of the current fiscal year. According to the data published by the Department of Customs, 1.27 billion kilograms of clinker were imported in the first half of the current fiscal year. Total 2.93 billion kilograms of clinker worth Rs 24.93 billion were imported in the last fiscal year. In the first half of the last fiscal year, clinker worth Rs 9.83 billion was imported in the country. Clinker, which is the main raw material in manufacturing cement, is imported mainly from India. There are about 50 cement industries in the country, of which 55 to 60 percent have been increasing their production capacity alongside the production of cement. These cement factories produce 500,000 tons of cement annually. Cement for large projects is imported from India. Cement traders have said that 15 to 20 percent of the cement imported is for the large projects. The cement for the large projects is imported from India since the projects require higher grade cement, said traders. The projects import the cement since there is revenue exemption while importing cement and rods due to International Bidding Competition (IBC). Cement has been imported from India if a project needs special cement of 53-grade. Cement has not been manufactured in Nepal with grading yet. KATHMANDU, April 1: Cement manufacturers have opined that there is no need of new investment in cement and clinker production.